Inspired by the very guitar that Slash played on the Guns N' Roses multi-platinum album. Do you have an appetite for destruction? 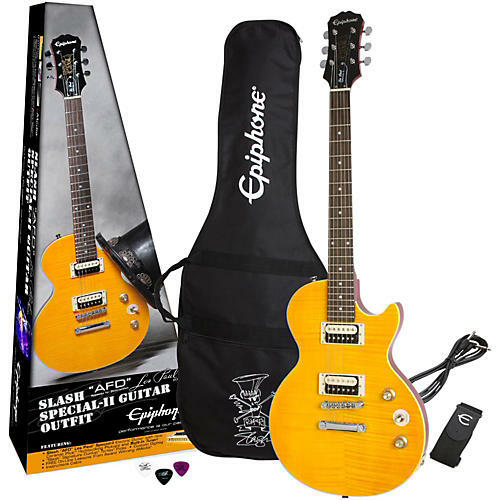 This Epiphone Slash "AFD" Les Paul Guitar Outfit has quality and features rarely seen in a pack at this price. It comes with everything in the "AFD" Performance Pack minus the amplifier. This is an amazing deal. Order today.